For foodies who love Chinese desserts, mantou could easily be counted as among their top picks. This is no surprise as the steamed bun or bread is not just satisfying cravings but also filling the stomach with the right amount of energy-giving carbohydrates. Mantou originated in Northern China, where it used to be the staple food, analogous to rice. In the southern provinces of the mainland, it is more popular as a street food. 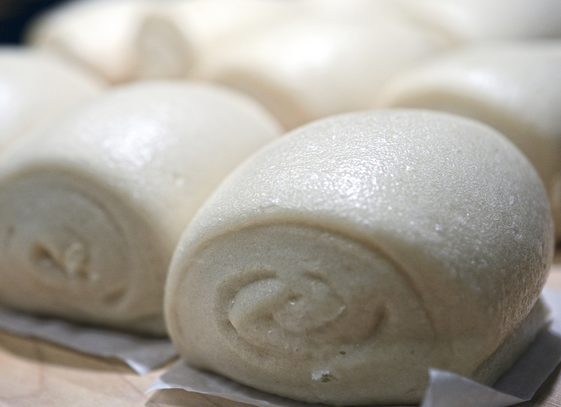 Today, a number of supermarkets across the Philippines sell ready-made and frozen mantou, which can be consumed after steaming or after heating in the microwave oven. 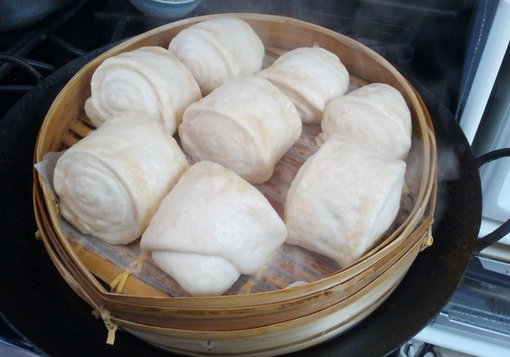 For today, you may try making and selling mantou, which is still rarely found in street food carts and restaurants. You can make these in bulk and sell them to community snack bars and small canteens. Or you may tie up with catering services. 1. In a small bowl, sprinkle yeast and sugar over 4 tablespoons of the warm water and leave it for 15 minutes. 2. Place the flour in a bowl and make a well in the center. Pour in the yeast mixture and the remaining water. 3. Mix everything to a dough. Turn it onto a floured board and knead until smooth. 4. Return dough to the bowl, cover and let it stand in a warm place for about an hour or until doubled in size. Punch down, cover again and let it stand for 20 minutes longer. 5. Use this time to make the seasoned filling. Soak the mushrooms in warm water for about 45-50 minutes, then squeeze dry and discard any hard stalks. Coarsely chop the mushrooms, meat and bamboo shoots. Mix with the scallions, ginger, salt, sugar, soy sauce, wine and sesame oil. Blend thoroughly. 6. Knead the dough again and cut it into about 24 pieces, flattening each piece with the palm of your hand. Using a rolling pin, roll out each piece into a circle about 4 inches in diameter. 7. Place 1 tablespoon of the filling (sweet or seasoned) in the center of each flattened circle of dough, then gather together the edges to meet at the top around the filling. Twist to enclose the filling. Stand for at least 20 minutes before cooking. 8. Bring the water in the bottom of a steamer to a boil. 9. Place the rolls in the steamer, leaving a 1- inch gap between them. 10. Cook for 10 minutes, or until firm and cooked through. Serve them hot.